An excellent question—one which deserves an answer. We won’t need a crystal ball to find the answer; we can look at history. After all, this isn’t the first time a government has engaged in overreach. In fact, it’s the norm. Political leaders tend to expand countries if they can, then build them into empires, becoming increasingly oppressive along the way, then causing the collapse of the empire—generally through welfare and warfare. Every one of Teeka Tiwari's cryptocurrency picks is up big right now… and they've given his readers the chance to make as much as 199%, 206%, 286%, and even 509% in as little as 13 days. Click here for all the details on his latest. The dominant empire of the world today could be said to be the US and its allies, but the hub of the wheel is the US itself, so that’s where we’ll focus. The US is so powerful that it can demand that its citizens pay tax, no matter where they may live in the world. The level of US debt has made the government so flushed with money that it could create a money-collection system that’s beyond any the world has seen. At some point, however, debt always generates a major crash. What we can expect next will be that the governments will no longer be able to pay for all of their programmes, so they'll have to cut back. How much will they cut back? That will depend on the severity of the collapse. In my estimation, one of the first indicators will be a stock market collapse. Will it drop by 20%? If so, that will only be a correction, and nothing will change significantly. Will it drop 40%? That's an amount I consider very likely and would be an indicator that the economy in general will soon be taking a significant hit, with a knock-on effect as to government coffers. Will it drop 60%? That's quite possible and would be catastrophic. The economy would then go full-on into the Greater Depression. Unlike the Depression of the 1930s, the country will not be the largely agrarian, highly-productive country of (generally) hard-working people. It will be a society of entitlement-conscious people, who will fail to rise to the occasion. An unproductive society contributes little to its government. In addition, the worldwide credit bubble will pop and the petrodollar will be no more. That will serve to eliminate the false income that the government now relies on. The heroin syringe will be removed suddenly and the government will find itself severely strapped for cash. So, the government will cut back dramatically—because it has no choice. This highly accurate stock market indicator is flashing green on a massive bull run. The last time this happened, the Dow climbed 793% in the following years. If the Dow went up that high now – We'd be looking at Dow 185,000. So, here’s where you get to picture yourself as the government. What areas do you maintain as sacrosanct and what others do you cut back on? It would make sense to hang on to those programmes that bring in the most revenue and cut the others, but the big-ticket items are welfare and warfare. You no longer have enough money to maintain those in full. You’ll have to cut back on them, but they’re the programmes that allow you to continue in office. Without them, you not only won’t survive the next election, you might face revolts. So, you do what you have to. You dismantle every other department as much as is possible and hope for the best. After all, your primary concern is not the survival of your country’s economy. Your primary concern is your own retention of power. Historically, what you end up with is fewer departments surviving the cut, with each of the surviving departments operating on a skeleton crew, resulting in all of them being less effective. A good example today is Argentina. It was once the tenth most productive country in the world, but, in the 1950s, the Peróns collapsed the economy through socialism. It’s never recovered. Argentina today passes laws as regularly as any other country, but they’re considered a joke by Argentines. Especially in the outer areas, the laws are largely ignored. Whatever little the government does do is extremely inefficient. The US has, in recent years, gone way over the top with regard to the economic enslavement of its people, but it has funded the programme through massive heroin (debt) injections. When that debt collapses, the US government will drop dramatically in terms of its ability to control its people in every way, but its main focus will then be on riot and revolt control. That aspect will be fully funded—more so than at present. At that point, the investor who has a bit of gold or an account in Switzerland will be too costly to go after. Political leaders will be scrambling to save themselves, and there will be far more important priorities to fund. As a holder of wealth (no matter how small), your objective is to bridge the period from now until then. Diversify yourself as much as you can and then sit tight. The primary objective is to still have your skin on after the dust has settled. 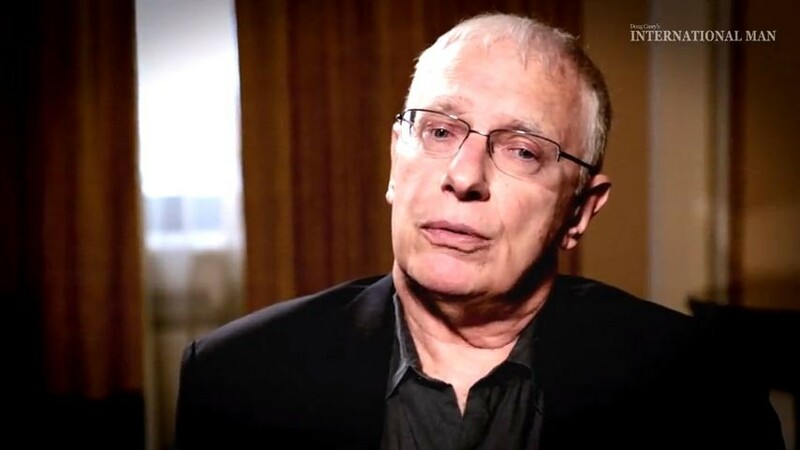 New York Times ­best-selling author Doug Casey and his team recently released a video with Doug’s strategy for what you can do to protect yourself. Click here to watch it. 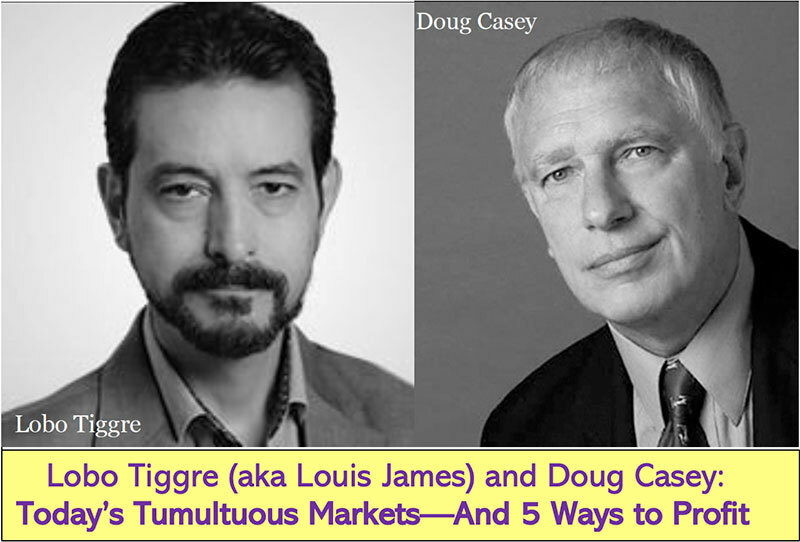 New York Times ­best-selling author Doug Casey and his team recently released a video with Doug’s strategy for turning this next crisis into huge profits. Click here to watch it now.